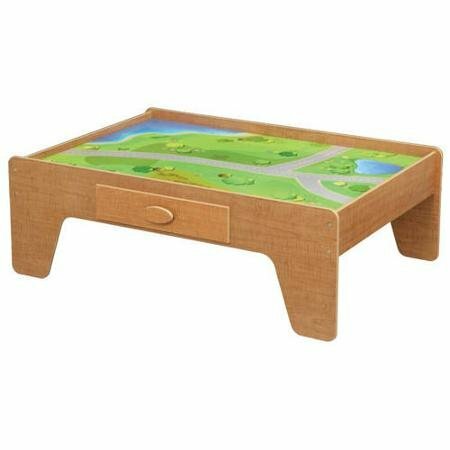 Get a dedicated place for playtime with this Activity Table with Drawer. Kids can play with their toys, layout train sets or have a parade of dinosaurs without having toys scattered all over the floor. A fun graphic surface lets kids' imaginations run free. It has a drawer to keep toys out of the way when they aren't being played with. This kids' activity table is constructed from quality material and tested to the highest standards. It is at a height that makes it easy for little ones to play on and would be a fun addition to any play room. If you have any questions about this product by Maxim Mfg., contact us by completing and submitting the form below. If you are looking for a specif part number, please include it with your message.